Police are appealing for witnesses following an attempted murder in Milton Keynes. At approximately 7.45pm yesterday (Sunday) the victim, a 33-year-old man, became involved in a verbal argument with another man while inside a property in Herne Place, Oldbrook, where he was stabbed in the neck. The argument then spilled out in to the street where the offender ran away and the emergency services were called. The injured man was taken to Milton Keynes University Hospital with serious injuries where he remains in a stable condition. 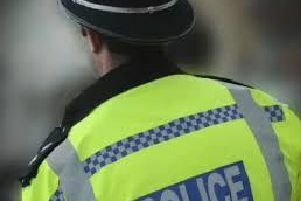 Detective inspector Jason Simpson, of Milton Keynes Force CID, said: “Detectives are investigating this serious incident and have made an arrest in connection with the offence. > A 54-year-old man from Milton Keynes was arrested yesterday on suspicion of attempted murder and is currently in police custody. Anyone with any information about the incident should contact the 24-hour Thames Valley Police enquiry centre on 101 quoting the reference 43180207285. If you do not want to speak to police, please contact the independent charity Crimestoppers on 0800 555 111.